Nature has the sky, painters have their canvass and tattoo artists have people’s skin to paint upon. In the same manner that there are countless stars in the sky and myriads of painters throughout history with varying brush strokes, there are also an untold number of tattoo artists since time immemorial silently But just as only the brightest stars can be seen clearly from afar, and only the master artists make it in the hall of fame, so is there only a handful of tattoo artists that will go down in history for revolutionizing this once taboo practice and turning it into a meaningful movement and a much loved trend. So let’s start with the legends and move to the trendsetters. Also known as George ‘Professor’ Burchett, this Englishman was dubbed as the ‘King of Tattooists’ and one of the most famous tattoo artists in the world. Burchett was the first celebrity tattooist and a favorite among the royals and the rich of Europe. Among his customers were King Alfonso XIII of Spain, King Frederick IX of Denmark, the ‘Sailor King’ George V and Horace Ridler. His designs were a mix of African, Japanese and Southeast Asian motifs, and he was the one who introduced the world to cosmetic tattoos, starting with eyebrows. He died at the ripe age of 80, doing tattoos on the wealthy upper class till the end of his life. An aborigine tattoo artist, Whang-od is a native of Kalinga Apayao, Philippines. The oldest and perhaps the last of her peers, she has inked the indigenous people of Kalinga, including the now tamed headhunters or Butbut warriors whose tattoos were earned through protecting villages or killing enemies. Her tattoos used to come with chanting and fortune telling, in celebration of the Warriors’ victories. Today, tourists flock to Buscalan, Kalinga to be hand inked by Whang-od, who still uses indigenous materials. Her nomination as one of the National Living Treasures and one of the National Artists of the Philippines is under deliberation. A famous Japanese tattoo artist, Horiyoshi uses the Japanese hand tattooing or traditional tebori technique. 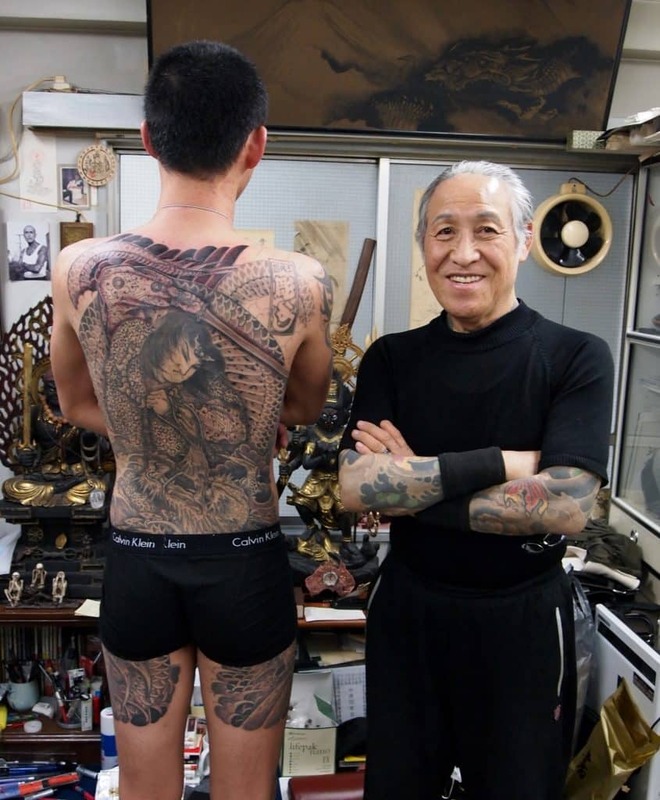 Horiyoshi charges by tens of thousands of dollars for his legendary body art which may take years to finish. His famous works have been compiled into books: “Tattoo designs of Japan”, “Tattoos of the floating world” “Studying Horiyoshi 3” and nine others. Since the Khmer Rouge wiped out the majority of tattoo artists in Cambodia, sacred tattoo artists are hard to come by nowadays. It is Say Teven’s good fortune that he survived the plague, and it’s a privilege to be one of the rare breeds that still practice the sacred magic in its Buddhist, Hindi and animistic roots. Teven’s clients are required to kneel before him with an offering of fruits candle and incense, as Teven recites a spell in Pali, he sprinkles his clients with holy water and yellow flower petals as part of the inking ritual. To seal in the magic, Teven blows on the graceful jet black lines and twirls, as his final and finishing touch. The first lady of tattoo in a nation with 1.3 billion population, China. Covered by black and green ink from head to toe (well, almost), Zhou weds Chinese and Western tattoo style, allowing her to stand apart from others and build a very lucrative inking business. She is known for her negative space, background effects, and textures which she developed on her own. A very gifted artist who does ultra-realistic portraits on the skin, it is said that others who have been doing the craft for ten years or more are not capable of even getting close to what Zhou can do. 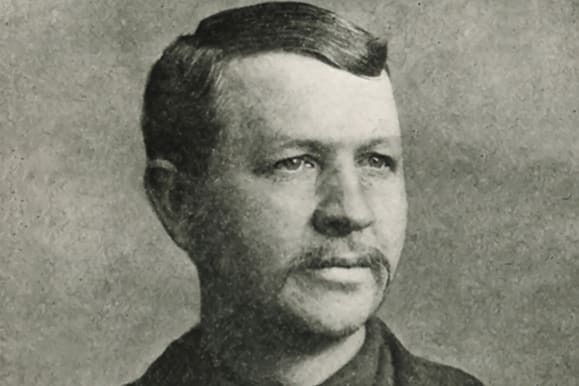 The son of Irish immigrants, Samuel was a New York based tattoo artist who learned the art of inking while he was in the Navy. His huge contribution to the world of tattoo is that he patented the first electric tattoo machine in 1891. JonBoy is reputed to have tattooed over 20 thousand people in his lifetime. 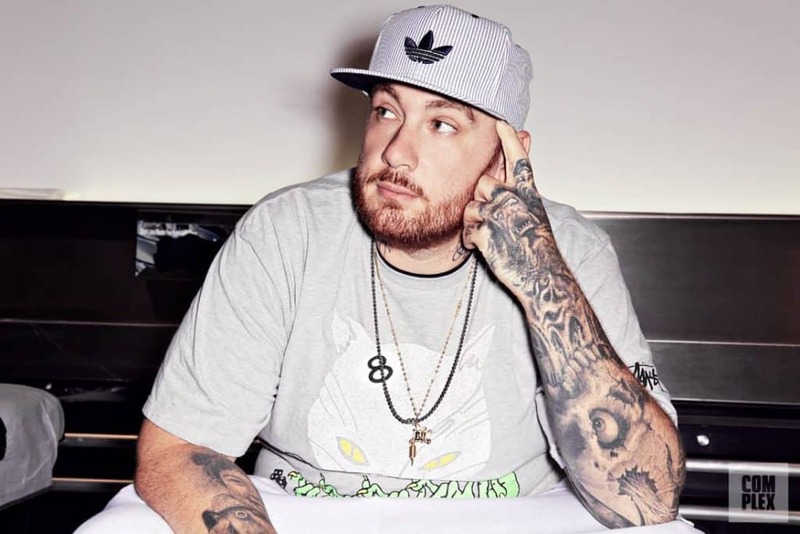 He is the favorite artist for the Kardashian family, most notably Kendall Jenner, whose ink he considers to be his most meaningful work so far. The Biebs also had Jonboy’s hand on him, as well as other celebrities who were drawn to the amazing Instagram posts of his works which has thousands of followers. His work on Bella Hadid brought him international acclaim: a miniature pair of wings on her ankles to commemorate her Victoria’s Secret Fashion show. His mastery of the delicate, fine line and clean art style has brought a new wave of crowd interested in body art. A Jonboy tattoo is now a cult status symbol among post-millennials and a celebrity-obsessed clientele. Kat is first an American tattoo artist, a model, musician, an author, entrepreneur, and a television personality. Like Campbell, she was also raised up in a strictly Christian environment, where a tattoo is a taboo. And who would be her most famous clients but the “prodigal daughter” Miley Cyrus and Demi Lovato, another famous celeb who also had a Christian upbringing. Looks like the religious stigma on tattoos is really dispelled by the stars, and we also have Kat Von D to thank for. This pretty and daring lady popularized tattoo through her two reality shows Miami Ink and LA Ink, both based on the body art inking. She’s tattooed Miley Cyrus, Lady Gaga, and Demi Lovato. Having lived in Israel and Egypt as a child, Ami James has a rich heritage which he translated into art and tattoo, his father being a tattoed painter himself. Ami James rose to fame because of his reality shows Miami Ink, NY Ink, featuring his own tattoo parlor Love Hate Tattoos of Miami Florida and Five Points Tattoo of New York. 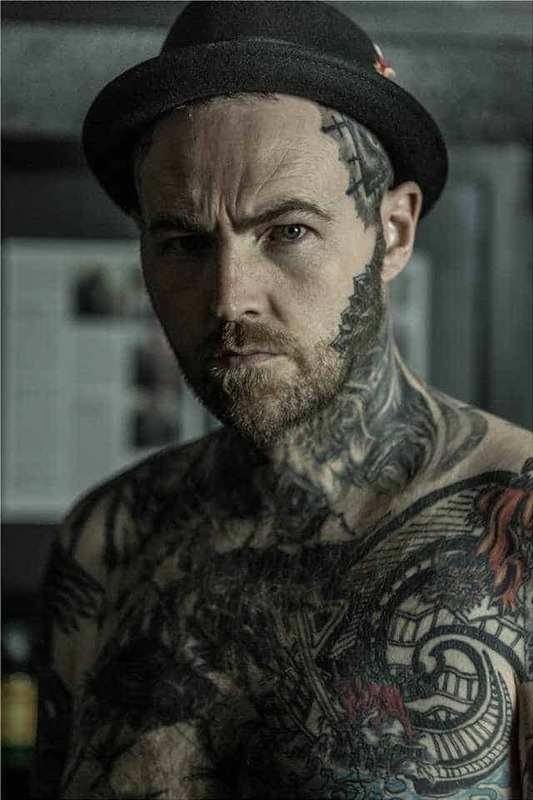 An American tattoo artist, Tyrrell’s share of fame is partly due to him having been features in London Ink and LA Ink television show. Having Kid Rock as a client also contributed to his popularity. Hardy learned his art in Japan and became recognized for adapting Japanese tattoo aesthetics and techniques into his American style. He wrote and published more than 25 books on tattoo art. He has also licensed his own brand of clothing, accessories, perfume, and many other products based on his art. If you wish to be inked by this master, you have to wait in line for at least one year. Rubendall’s popularity is mainly due to the accolades heaped upon him: His studio at Kings Avenue was ranked top-5 in New York City by Inked (2015), Huffington Post named him as an artist to follow on Instagram (2014) and he was named as one of the top “city inkers” by New York Magazine. 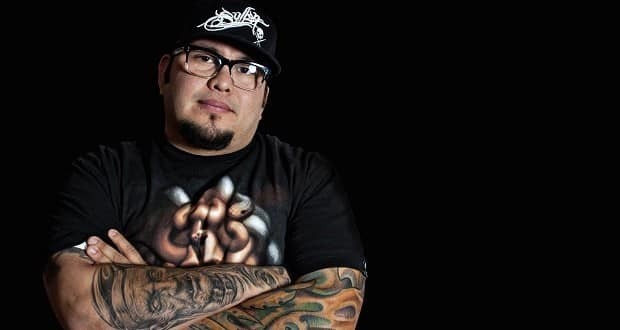 He was also featured on VICE as part of Tattoo Age, seasons 2 and 5 of the Ink Master, Tattoo Wars, and Prick. 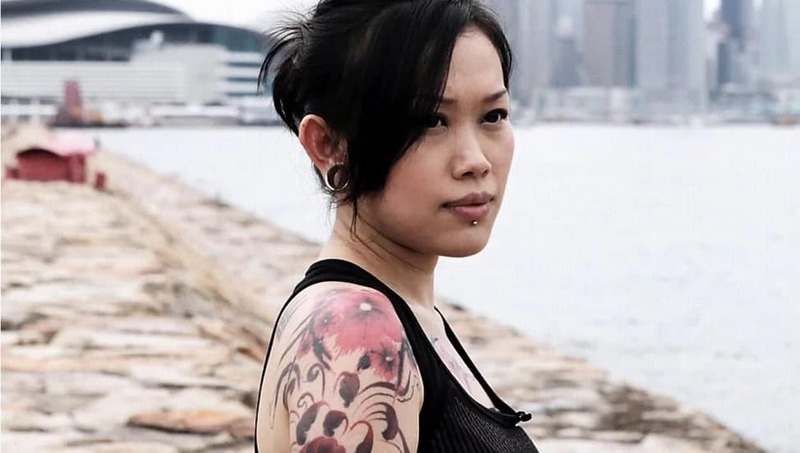 Pang is a Hong Kong based female Chinese Tattoo Artist whose artwork and exhibitions enjoyed wide media coverage. She has been featured by AP, Al Jazeera, CNN, The Travel Channel, and many others. Lewis Hamilton and Hong Kong celebrity Candy Lo are among her many celebrity clients. Hailed as a living legend, Mark is considered the “founding father” of black and grey art with a single needle. He is most known for his black and grey images of religious icons, girls, bombs, guns and old school collages. 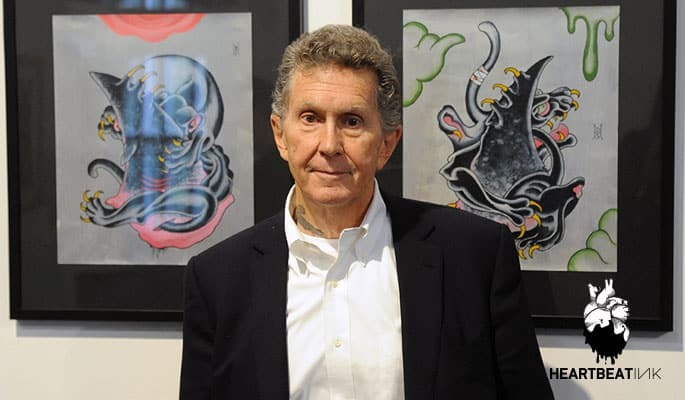 He was a huge influence during the time when tattoo was illegal in Boston during a time period “when you had to be an outlaw, or you had to be a real brave soul to get a tattoo,” Mark said. His charming and sweet demeanor made Darren Brass popular with his clients who feel at ease with him right at first meeting. He was made even more famous when he was featured in the reality television show “Miami Ink”. 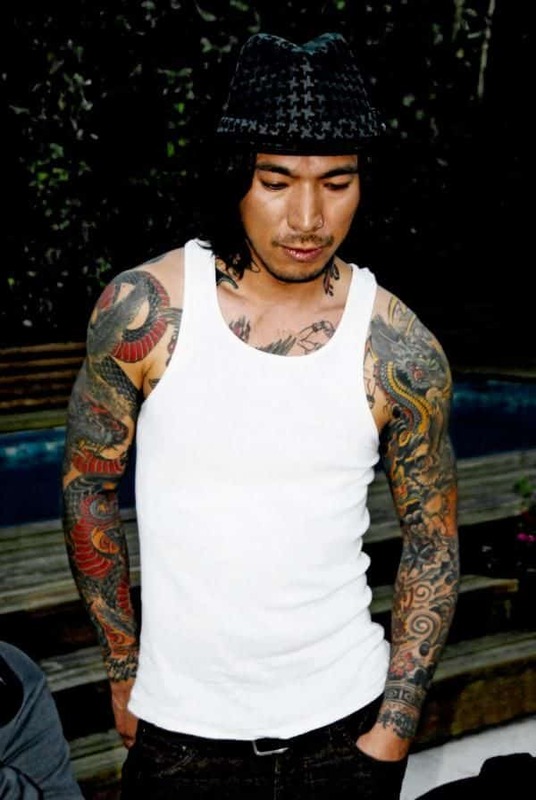 A Japanese by birthright, Yoji moved to the US and by a stroke of luck apprenticed under Ami James. He was later featured in the reality tv show Miami Ink, where his progress from apprentice to professional tattoo artist was chronicled along with his marriage and the birth of his daughter. The success of the show made him very popular in his native Japan. One of the best and well-known ‘old school’ American style artists, Peck completed 415 tattoos of the number 13 within 24 hours, earning him a spot in the Guinness Book of Records. Peck has traveled the world doing what he loves most, body ink. He co-owns two tattoo parlors, one in Dallas, Texas and the other is in Holywood, California. He was once married to famous female tattoo artist Kat Von D.
Cally-Jo Pothecary of Southampton, United Kingdom is both a fine artist and tattoo artist. She has done tattoos on Rihanna and actress Sienna Miller among many other celebrities. She has been featured in magazines and advertising campaigns, largely due to her collaboration with the Coffee Vs. Gang campaign. Gang members used to have special tattoo symbolic of a life of crime in Honduras, but because of the Cally-Jo’s original work which captured the rich symbolism of tattoos, and touched on the hopeful potential of coffee farming as an alternative to gang life, she rose to the rank of world famous tattoo artists. A Filipino-American tattoo artist, Sarah graduated from the University of Santo Tomas. She is also a visual artist, designer, illustrator, model, actress, and musician. But among her many talents, there is something in body ink that just draws her in. She finally found her niche and most loved passion as she gradually built a steady flow of clientele, including celebrities in Manila. Her fame took her studio to the neighborhood of Manhattan where she is now presently stationed. Australia’s best bet, Winzer is known for her cute dreamy piece of ink, everything that any sweet and romantic heart would want. Her palette consists of pastel colors, and she specializes in delicate and tiny tats such as flowers and cats. She can also do realistic portrayals of any subject. She skyrocketed into fame after giving Miley Cyrus a realistic avocado tattoo at the back of her forearm. Kevin, a UK based tattoo artist specializes in dark art such as skull and rose designs with a lot of shadow play. He also helps people who are unsatisfied with their tats and fixes them for free. His clientele belongs to the A-list, which includes Ed Sheeran, Harry Styles, Travis Barker and many more. 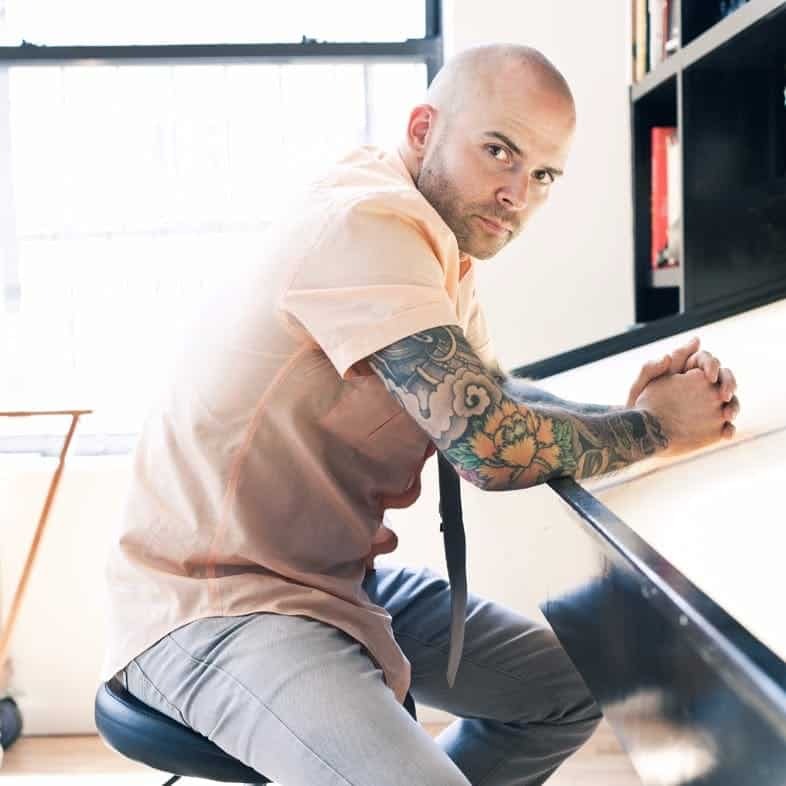 Brought up in a legalistic Christian environment, Scott Campbell is an unlikely candidate as a tattoo artist, let alone as one of the world’s finest. He did not, however, allow his Christian background to suppress the artist within. 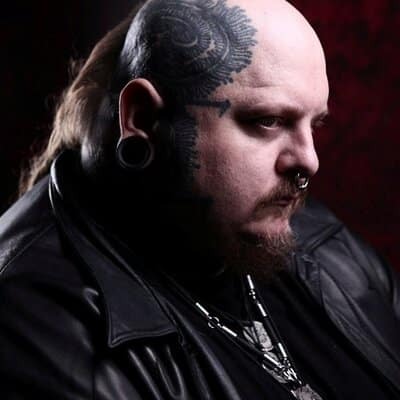 Although tattoo totally goes against the principles of his strict Baptist upbringing, Campbell can’t be caged, so he spread his wings in spite of his religion. His love for tattoo, however, can’t totally obliterate his faith, so he did what lovers often do – he married his faith with his passion and named his tattoo shop “Saved Tattoo”. As if tattoo indeed is his saving grace, the move catapulted him to fame, proving that his God is not that legalistic after all. His first ever celebrity patron was Heath Ledger. 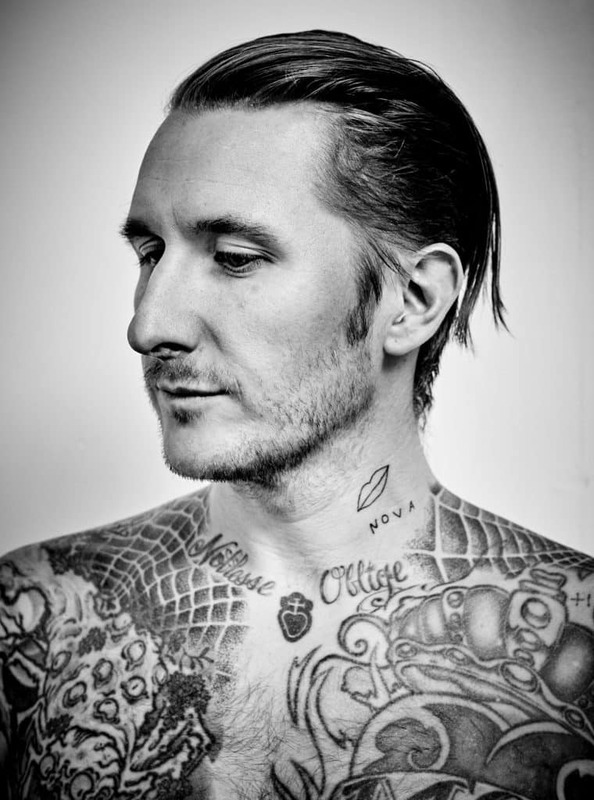 A visual artist himself, Scott Campbell took tattoo to a whole new level by initiating tattoo exhibitions in New York City, Los Angeles, Moscow, and London. A multi-talented artist, Paul Booth sculpts, paints, does films and music, yet he is best known for the impact he made on the world as a tattoo artist. His dark surrealistic inclination influenced his tattoo designs, a style unique to him alone. Depicting demons, beasts and evil fetuses, his tattoo parlor is aptly named as Last Rites, where people who love the dark dominion flock. Chris is of Cuban descent, which explains his very filial nature. His first tattoos, which he got when he was only 16 years old, were the names of his parents. Sadly, his father died when he was 18. Out of frustration, he rebelled from that time on until he was in his late twenties. His love for tattoo helped him get back on his tracks though. 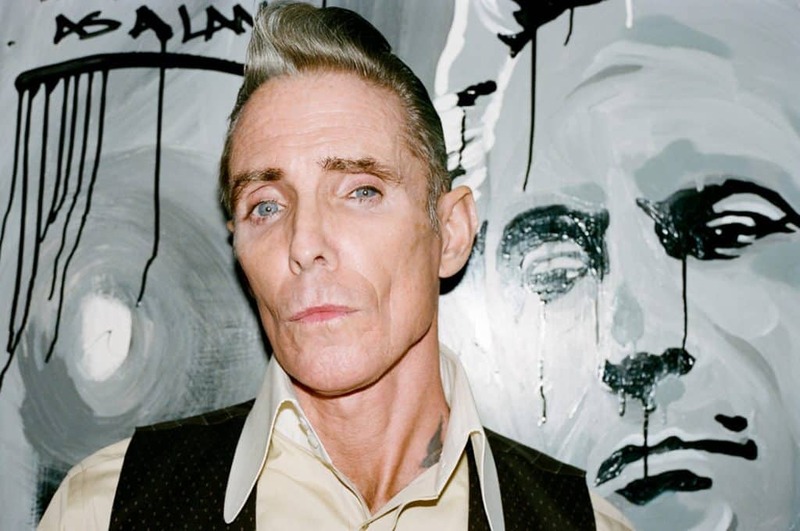 He is now a proud owner of Handcrafted Miami, a tattoo parlor, and a gallery and he is hailed as the most recognizable ink ambassador in Miami. 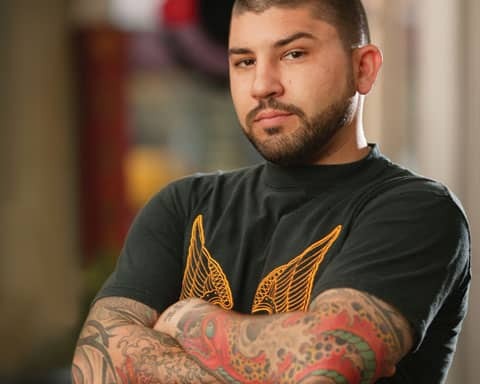 Like some of his peers, he was also featured in TV shows Miami Ink and Ink Master, which also contributed to his fame and success. A master tattoo artist, he was known as tufuga ta tatau in his native Samoa. Sua is of royal tattooist descent – he was born into one of the leading family of master tattooists, known internationally for their culturally distinctive and highly skilled workmanship. He traveled extensively, became known in Europe and held exhibits at Tattoo Museums. 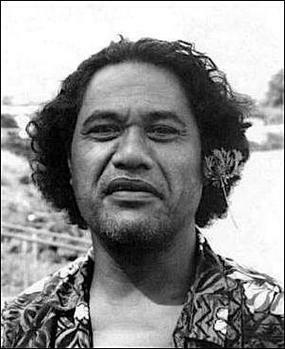 He was a much-celebrated figure in Samoa and the international community until his sudden death in 1999.